& i am back in ballet flats after months in boots! i've made metres of the stuff...! 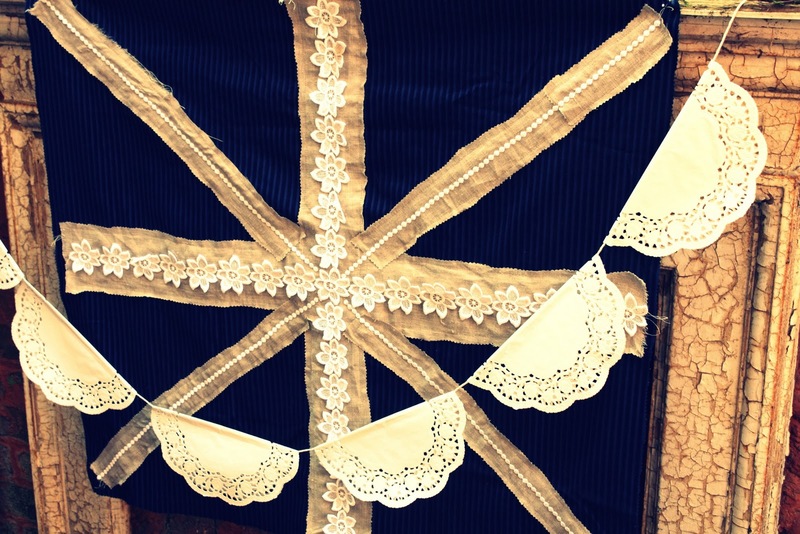 Well I love making anything with the Union Jack on, I have just finished some bunting for a shop that I supply with hearts, WC initials and doves on, it looks really pretty for the Royal Wedding day. Your flag looks great! great job on both...so so pretty!! Beautiful work! Both the Union Jack and the bunting are adorable. Loving the lace. Oh, yay! That is lovely!!! Wow! I love the different textures that you used and the little bunting is adorable. I made one just like it:). Beeeautiful! Love the lace as you might have guessed, nighty night! Its just stunning melissa; i knew it would be !! and the lace really is the icing with the cherry on top!! I love it and i can tell that its totally going to look better as it ages. 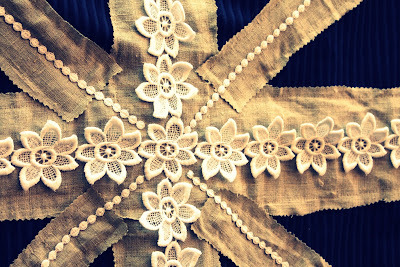 Love your pretty doilies too, i love when you create something that was really simple, but really effective! Have a fabulous weekend dear!! Very pretty! I especially like the Union Jack. Thanks for sharing and have a great weekend! OH I want one immediately - if not sooner - how clever are you?? Have a lovely weekend Melissa. 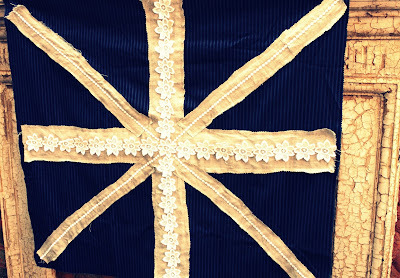 Love the union jack. 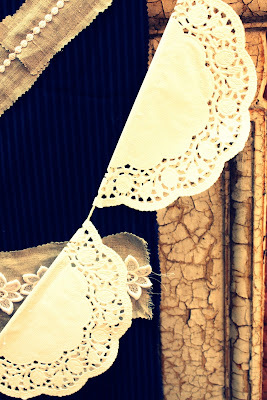 I much prefer the look when it's not so "traditional", and the lace is just soooo pretty. 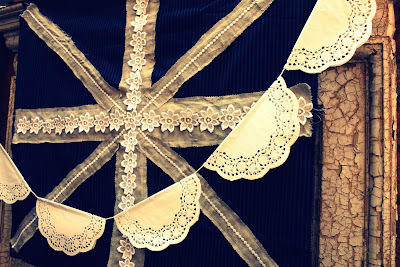 I love your flag and your bunting...fair warning, I'm copying it! Beautiful work with the flag. I'm sure it had it's challenging parts but overall it looks great.